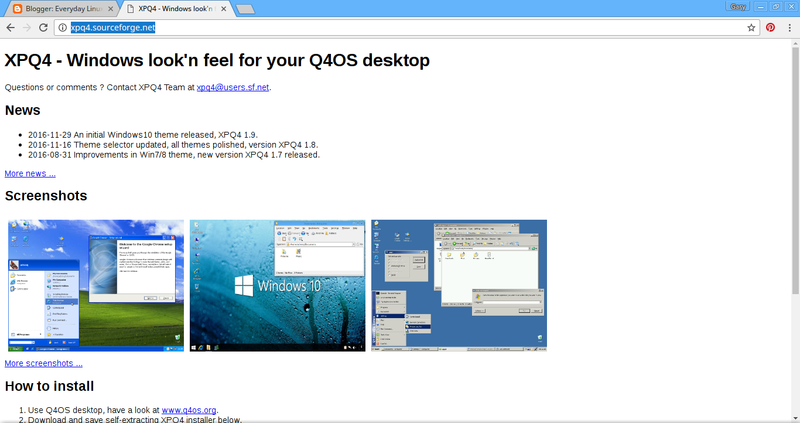 When I wrote a review about Q4OS last year I was emailed about a package called XPQ4 which makes it possible to make Q4OS look like other versions of Windows such as Windows XP. I therefore set about reviewing XPQ4 and the results were very good indeed. If you wish to use a Linux operating system but you want it to look like Windows then XPQ4 is definitely what you are looking for.Shortly after I had posted my review of the latest version of Q4OS I received another email asking me to take another look of XPQ4 because there had been a number of updates. 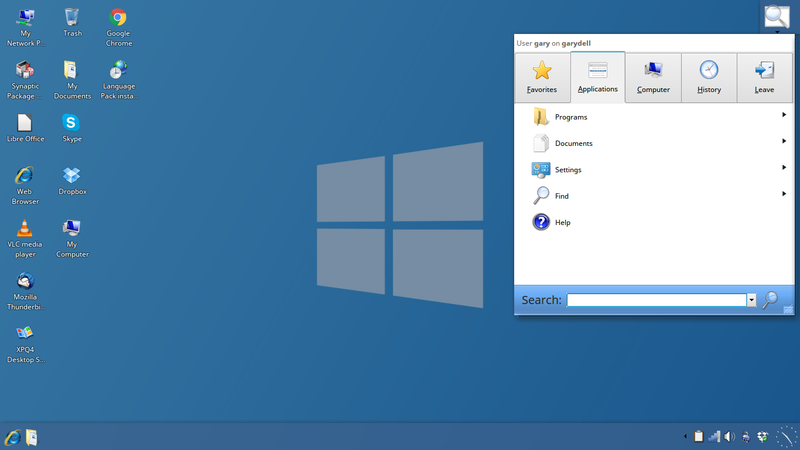 If you wish to use a Linux operating system but you want it to look like Windows then XPQ4 is definitely what you are looking for. The full version uses proprietary images and icons etc whereas the free version does not. Neither will cost you any money. 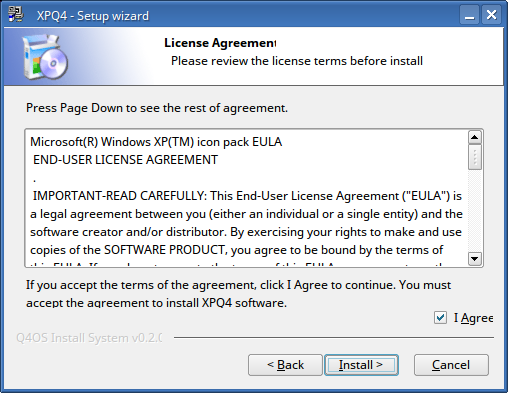 When the license agreement appears make sure the “I Agree” checkbox is ticked and click “Install”. 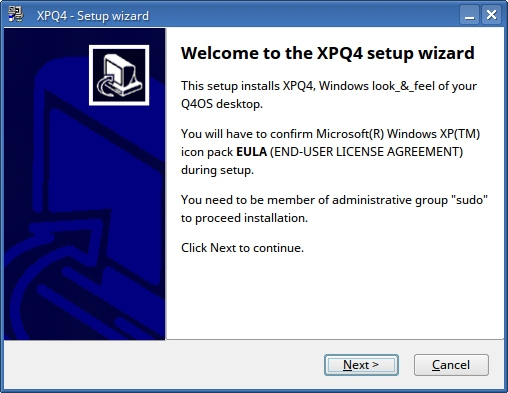 An icon for XPQ4 will appear on the desktop and when clicked the above screen will be displayed. 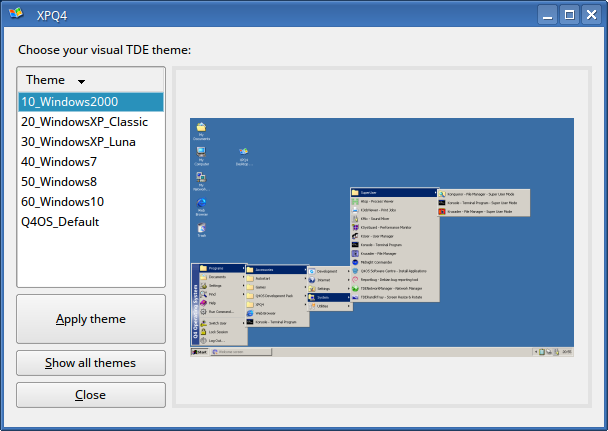 The Windows XP Luna theme is astounding. 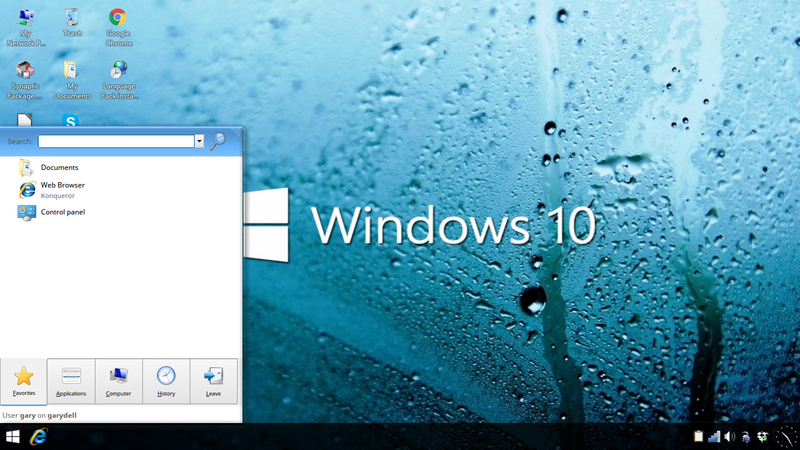 I reckon this could fool many people into thinking they are using Windows XP. Some Linux purists would ask what the point is but I’ve never claimed to be a purist and I think the work performed by the XPQ4 team is brilliant. 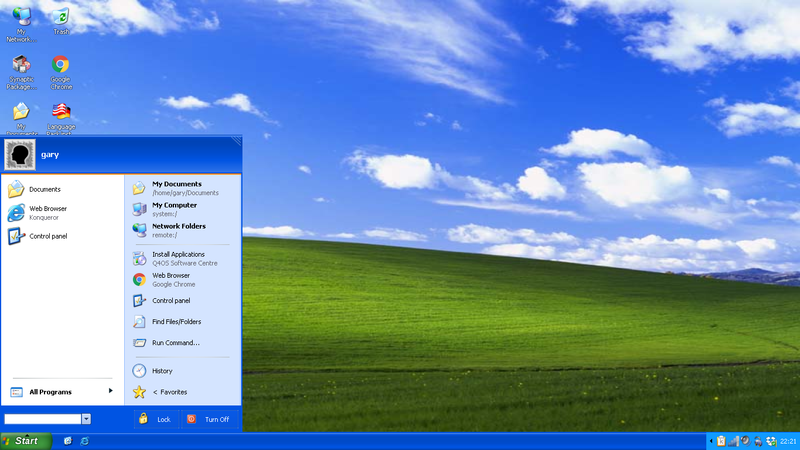 The Windows XP, 2000 and Windows 7 themes are very close to the real thing. 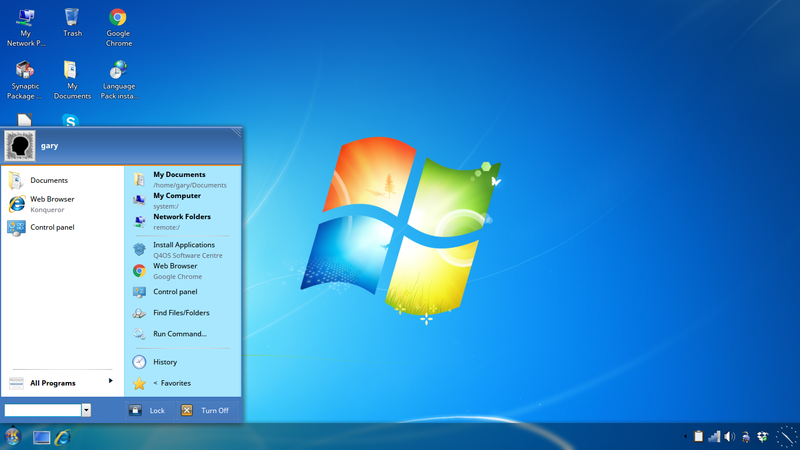 Windows 8 doesn’t really look like Windows 8 although an attempt has been made to make it authentic by pulling the menu in from the right and having a search bar in the top right corner. To be honest though how many people really want to use a system like Windows 8. It was horrific. The Windows 10 theme looks good and although the menu doesn’t really look like a Windows 10 menu the theme does make Q4OS look modern. For pure style the XP Luna theme is my favourite. Many Linux distributions over the years have tried to look like Windows including Lindows, to a certain extent Linux Mint and of course Zorin OS. Q4OS with the XPQ4 theme is definitely the one that has achieved the best results. Zorin OS looks to be moving in a slightly different direction now and I have just installed version 12 as a dual boot to Q4OS so a review will be coming shortly. I could have made my experience with XPQ4 better by installing the ttf-mscorefonts-installer package from Synaptic. I had heard about that Q4OS is desktop working framework intended to offer conservative and clean UI, straightforward extras and to serve stable establishment for running complex outsider applications. Since Q4OS is a Debian/Linux based OS, it utilizes "Well-suited" bundle administration framework and related apparatuses to keep up framework wellbeing and clean. Thanx for your article, just downloaded Q4OS with the above – initial feelings are quite well. Looking for a W10 replacement. But not quite sure yet. Have also looked at Zorin as well as Deepin….. Peoples are usually looking for this Kind of topic. actually i have a mac and i have problem to run os system so i have launched windows in It through Vmware Virtualisation software Now it is running truly Great.